Life’s simplest pleasures may be hard to put a value on. But that hasn’t stopped corporate America from trying. If you’re looking for a product that’s marked up 2000x, buy bottled water. That’s basically how much more store-bought water costs than water from your tap, according to ConvergEx Group chief market strategist Nick Colas. Globally, we spend more than $100 billion every year on bottled water, according to National Geographic. The plastic bottles take hundreds of years to break down, and have vastly contaminated the oceans and killed millions of marine mammals and birds. The best part? Gallon for gallon, bottled water really isn’t any more safe than tap water. Graffiti, which dates back to ancient Greece, has long been a form of artistic expression that represents all things anti-establishment. But companies hoping to buy some of that sweet, sweet street cred have lately pushed their way into the medium. Today, outdoor advertisements in major cities around the world are diluting the intrinsic power of street art and murals. Need an example? The above ad for McDonald’s appeared in Queens, New York. “More and more brands are donning the cloak of counterculture in their advertising, hoping to gain a young, rebellious image in the process,” Christian Fuchs, a German journalist, wrote in a Der Spiegel article on the topic in 2008. Like many other processed foods, certain ice cream sandwiches have morphed from a homemade treat into a chemical concoction. The ice cream sandwiches sold by Walmart, for example, don’t melt after being left in the sun all day, according to a report from WCPO Cincinnati. Do you remember what it was like to actually write a heartfelt letter to someone? Probably not, because the greeting card industry has been doing that for you for years, one verbose and glittery $4.99 card at a time. 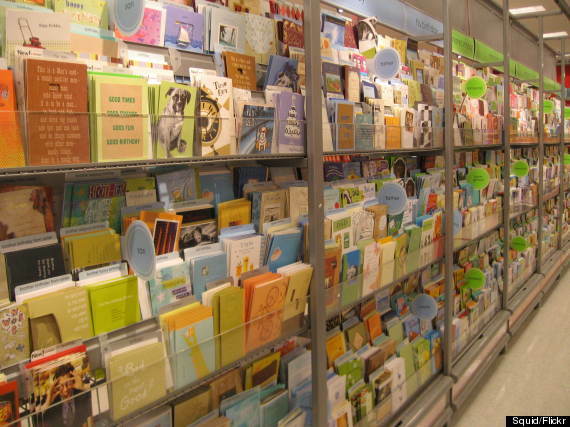 Even with the rise of e-cards, Americans are still buying a staggering 6.5 billion paper greeting cards every year. A recent study by Dan Flynn, executive director of the Olive Center at the University of California at Davis, found that roughly 60 percent of olive oils labeled “extra virgin” don’t meet the standards of not having defects or additives. As with many other health products, marketers use poorly defined terms like “pure,” “all-natural” and “organic” to slip subpar products past ill-informed consumers. While industry techniques have made olive oil cheaper and brought the product to a larger number of people, the trade-off is that quality is frequently compromised. 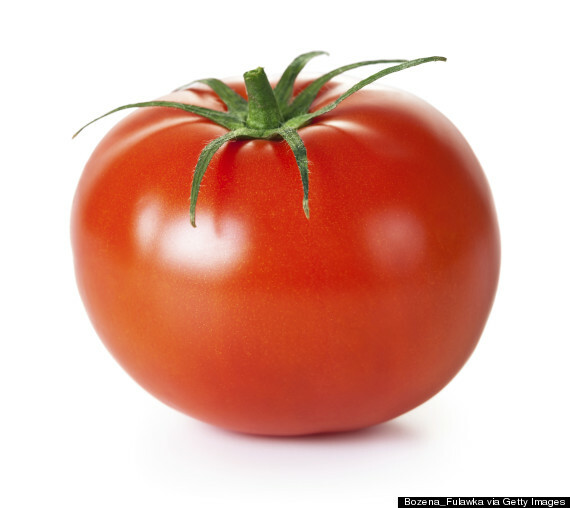 Food writer Barry Estabrook argues that industrial agriculture has “destroyed” the tomato. Many farmers now prioritize size, color and durability over taste and nutritional content, he says. “They also want those fruits to be able to stand up to being harvested, packed, artificially turned orange [with ethylene gas] and then shipped away and still be holding together in the supermarket a week or 10 days later,” Estabrook told NPR in 2011. Years of gentrification have destroyed the distinct character of many of New York City’s low-income communities and mom-and-pop shops. 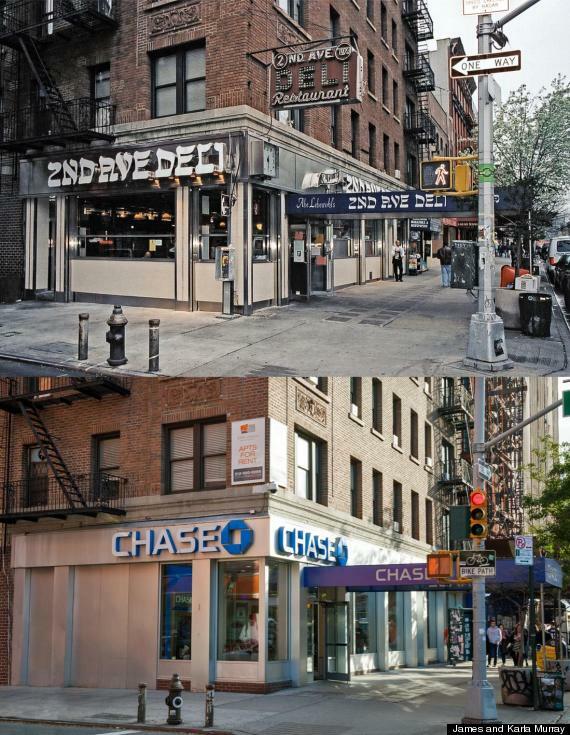 In place of dive bars and neighborhood favorites, New Yorkers now have retail banks and chain stores that can afford the city’s ever-skyrocketing rents. One hundred dollars is effectively only worth $82 in New York City due to the metropolis’ extremely high cost of living. So don’t get too attached to that local family restaurant you like so much. Ah, Burning Man — that desert oasis of anti-commercialism, free love and communal living. At least it used to be like that, until Silicon Valley billionaires caught wind of it. Now the weeklong experience has been infiltrated by corporate titans like Larry Page, Sergey Brin and Jeff Bezos, not to mention noted party types like libertarian Grover Norquist. These guys employ dozens of “sherpas,” or personal assistants, and in one elite camp Burners reportedly paid $25,000 each to be included, according to The New York Times.